The DLR-DK001 RFID UHF desktop reader is a multi-regional UHF RFID reader with an integrated antenna for short to medium range applications. The reader is powered and controlled directly by a USB cable and reads EPC Global Class1 Gen2 UHF RFID tags. 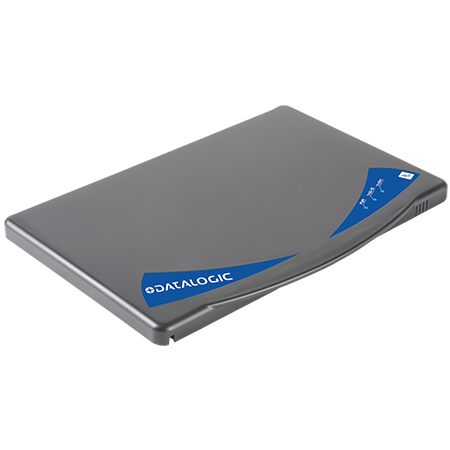 Its low profile (1.5 cm / 0.6 in) and compact size (approximately an A4 page) make the DLR-DK001 reader the perfect choice for various applications such as Point of Sale, Document Tracking, Tag Programming Stations and Access Control. The module can also be used as a building block for smart shelves and smart displays.